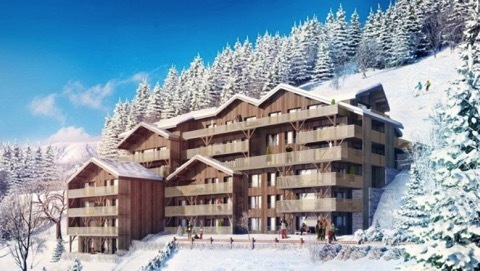 Interest in French skiing property is expected to see a seasonal surge towards the end of this month, after British families return from their half-term ski break tempted by the idea of owning a ski home, said ski property specialist SkiingProperty.com in February, adding that the favourable exchange rate is also luring more UK buyers to market. To assist first-time buyers in the French Alps considering a purchase in 2015, Skiingproperty.com has compiled an eight-point checklist. 1) Your resort. Think about its ski area – both the size and altitude (over 2,000 metres for guaranteed snow), lift infrastructure, transfer time, the option of driving from the UK, winter and leisure activities, amenities, shopping, ski schools and creches. 2) Seasonality. Will you use the property when the snow has gone and during the summer? If so, you’ll want to be somewhere that doesn’t shut down outside of the winter season and with plenty to do in the warmer months. 3) Location in the resort. 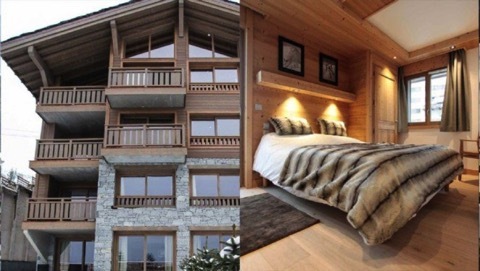 Ski-in ski-out properties within walking distance of lifts and the resort centre are always the most sought after. But your money goes further if you buy outside a resort or a short drive from the slopes. 4) Leaseback or outright purchase? For access to a convenient, well equipped and completely hassle-free ski property, consider leaseback – remembering to check your annual personal usage, the annual maintenance costs and what rental return you will receive. Many leaseback ‘residences’ come with a spa, pool and communal areas, and properties are typically bought off-plan or new. Otherwise, for complete flexibility and for somewhere you can make a true second home, buy outright the usual way. 5) Rentals. If you intend to let your ski home, consider whether you will manage it yourself or through an agency, remembering to factor in any advertising costs and agency fees. Buying in a popular ski resort with a good snow record should deliver reliable rental yields – demand comes from the domestic (French) as well as international markets. 6) Currency. Good news for British buyers in 2015 is the stronger pound. In order to maximise this and get the best exchange rate available – and bring down the cost of your property in pounds, use a currency exchange specialist to send euros to France. 7) Mortgages. French mortgage rates, for residents and non-residents, remain at historic lows, with variable rates currently as low as just 2.2 per cent. Given the favourable exchange rate, a mortgage might make financial sense for many buyers. 8) Ongoing costs. French properties come with two types of council tax (‘taxe foncière’ and ‘taxes d’habitation’). Remember to factor these into your running costs. Check out any discounts on seasonal ski passes and ski hire available to homeowners in a resort.